You are at:Home»Marines»Are you (really) ready for some football? ‘Tis the season for turkey, tailgating and that classic game on the gridiron, football. But all that rough play with your best buddies can sometimes turn into a trip to the Doc or, worse, the emergency room. 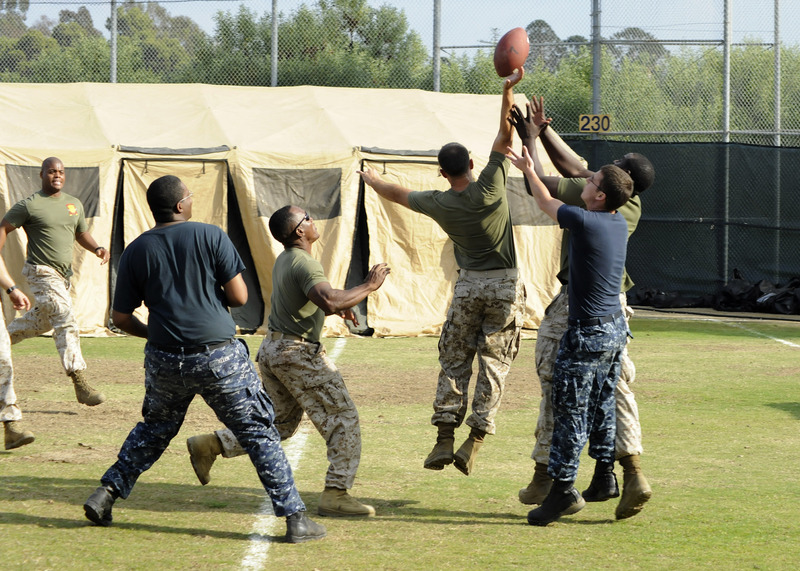 Over Thanksgiving 2010, the Naval Safety Center got 54 reports of injuries, including Marines and sailors who “attempted to work off their turkey tryptophan with a pick-up game.” Some of them suffered poked eyes and sprained ankles from playing on the football field. No word about any resulting lost work days. Know your limits. You’re not in the NFL and you probably aren’t a professional-caliber quarterback. Use the proper equipment and personal protective equipment. Check the field for holes or other hazards before starting the game. More tips: Wear gloves made especially for football or tape fingers to reduce the chances of finger injuries. Avoid alcohol and don’t overdo it. With the prime months of the football season setting in, it might be advice worth heeding.